Around Global Advance we talk a lot about frontline leaders. But what do we mean by that phrase, exactly? What does it mean to serve on the front lines of the Great Commission? Pastor Gum San works in a remote area of western Thailand, where thousands of refugees have fled persecution in Myanmar. He makes regular trips into the jungle to find and help families in hiding, bringing supplies from the Alpha Relief initiative. He’s also planted a church and opened an orphanage and school in the nearby village. In French-speaking western Africa, the preaching can get a little demonstrative and colorful! Global Advance Frontline Pastors training events are happening all across the region this year. A local missionary in northern India supported by the Alpha Relief initiative was attacked as he left an evening worship service, along with his mother and three others. Angry at the tide of high-class Hindus turning to Christ through his ministry, a mob of Hindu extremists beat him severely, and tried to destroy his ministry vehicle. Young women in Bangladesh study a discipleship guide provided by the Esther Initiative. Through conferences and mentorship networks, Raising Up Modern Day Esthers teaches them scriptural foundations for living, strengthens them in their identity in Christ, and infuses leadership principles to help them trransform their communities with the gospel. An official eviction notice, written in Lao by hand. The notice accuses a local Christian man of spreading Christianity, calling it a “western belief which is against Lao traditions and the Communist Party.” Because village cadre leaders hold the backing of the central government they are able to evict families from land they have held for generations. 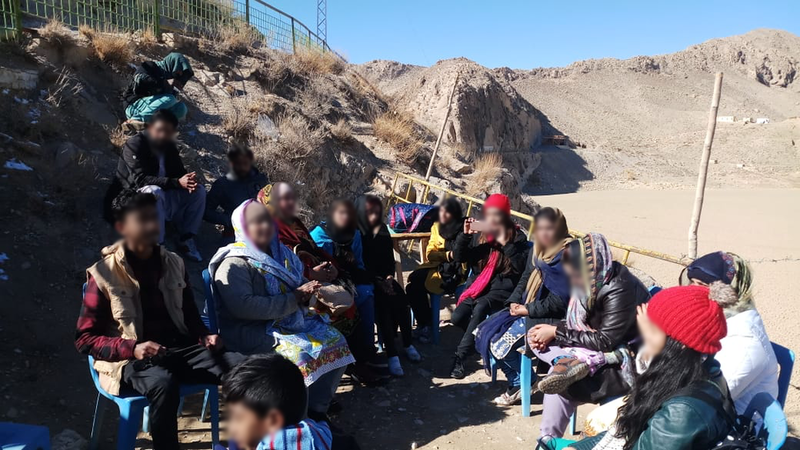 Newly homeless, they are cared for by a local network of believers which helps them start a new life in a new village with resources from Alpha Relief. Refugee women in north-central Nigeria line up for grain rations. Extremist groups with ties to ISIS have pursued a genocide against the sparse Christian communities in northern Nigeria. Thousands have fled the violence. Our team in Nigeria visited the refugee communities to conduct a needs assessment in preparation for outreach projects later in 2019. In staunchly Islamic Pakistan, believers meet on a mountainside for privacy to pray and worship. 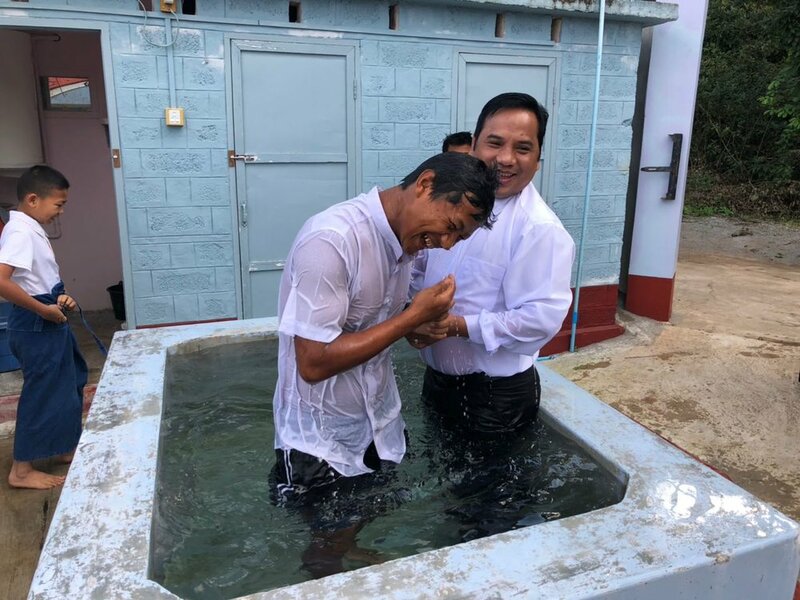 Local missionaries sponsored by the Alpha Relief initiative have canvassed the region, planting new churches and discipling leaders to guide them. In predominately Muslim regions of northern Africa many are coming to Christ through the efforts of local missionaries sponsored by Alpha Relief. Simple tools like bicycles aid them in their task. Muslim-background believers themselves, they have received training in evangelism and return to the communities they were once cast out of in order to see who they can win to Christ. They bring back stories of dreams and visions, many coming to the Lord, and secret baptisms for new believers. Older PostA SLEEPING GIANT IN MISSIONS!